This kit provides maximum battery voltage to maximize cooling efficiency and to protect the main electrical system from damaging amperage overloads. 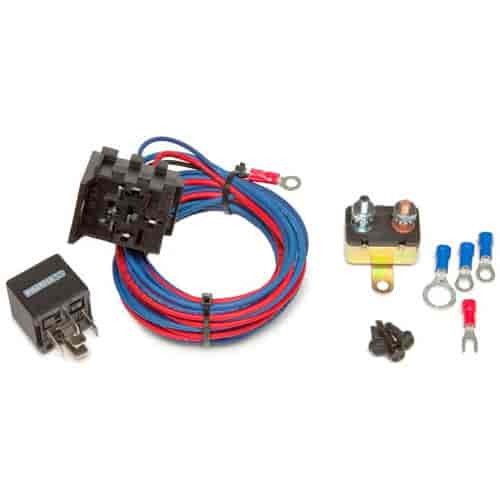 Painless Relays ensure the reliable and dependable performance of many devices such as alternators, starters, electric fuel pumps, water pumps, and auxiliary accessories. Relay Kits include all necessary connectors and hardware to complete your installation. 50106 is rated 5.0 out of 5 by 2. Rated 5 out of 5 by J427 from Great time saver I bought this along with some other similar products to build out a relay brain box for my race car. The relay came with very long leads and easy to read instructions. The wire gauges were all large enough to support a pretty powerful pump.